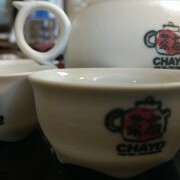 Chayo tea friends logo tea set! 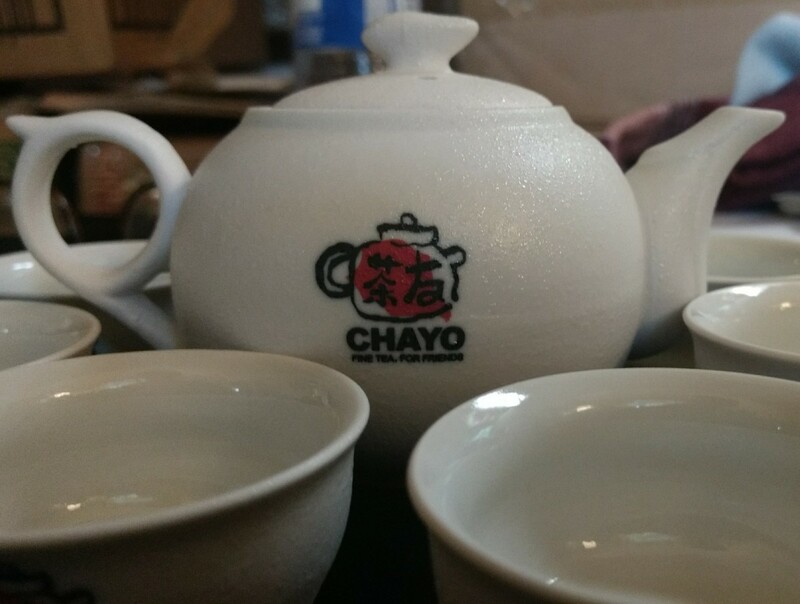 Chayo Tea Friends epic Gongfu Tea set starter kits now on sale for $20! These tea pots hold 150 ML of water and come with six individual cups to get you started on your tea brewing journey. 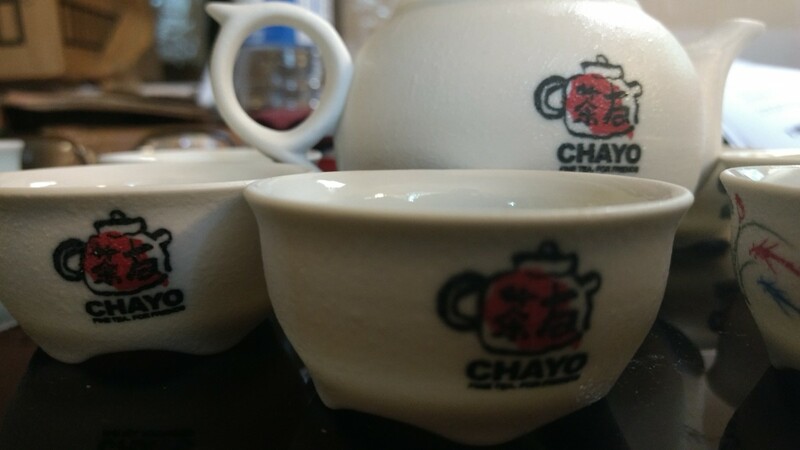 The pots are made with a new style of white porcelain from Dehua, Fujian province, the traditional home of white porcelain in China. The inside of the cups and pots have a shiny glaze which is nice to the touch and very easy to clean, while the outside has a ridged exterior which is not only aesthetic but also very comfortable in use. The outer portion also means that the cups and pots diffuse heat better, meaning that you won’t burn your hands as can sometimes be the case with cups made with both smooth interior and exterior. 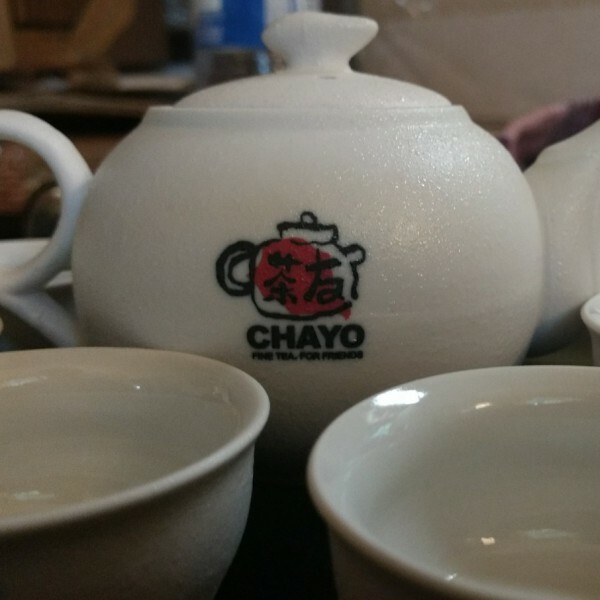 This set proudly displays our very stylish Chayo Logo on pots and cups and it has a very easy to use, no drip spout, which is a rare and great find in the tea world these days. This set is perfect for any type of tea from Green to Pu’er and we use them every day in our store to brew tea for our guests. This is pretty much the best deal around on a Chinese Tea Ceremony set, so go ahead and grab one, you’ll love it.